It was 2013 when Samsung enlisted megastar Prince to put on a concert for users of its Galaxy devices. Two hundred lucky people gained access by taking part in a scavenger hunt around Austin while using a Galaxy phone. And, it was quite the experience, watching Prince and his band play hit after hit for almost three hours. Now, six years later, Samsung is celebrating 10 years of the Galaxy and is launching Galaxy S10. The company promises an “experience,” with SXSW 2019 one stop on “The Samsung Experience Tour.” Yet, one can expect this experience to be different than the one featuring Prince. Instead, visitors to Samsung’s pop-up space are enjoying multi-sensory installations, games, and more. Moves like these have prompted much debate related to SXSW event marketing strategies over recent years. But, the fact is, SXSW brand activations have evolved to offer what consumers need and want from the event. A 2017 Mashable article sums these things up. Attendees come for the information, inspiration, community, and positive experiences. Add in the fact that they demand the same things from brands as they do personal relationships – authenticity, transparency and a connection. And it’s easy to understand the shift in the ways that companies are approaching SXSW brand activations. Knowing this, expect to see brands to continue to innovate and evolve their strategies with each passing year. This may be in the slightest ways, to not only meet attendees’ expectations but to raise the bar for the competition. The following brand activations took SXSW by storm this year, and demonstrate what consumers expect from brands in the current day. 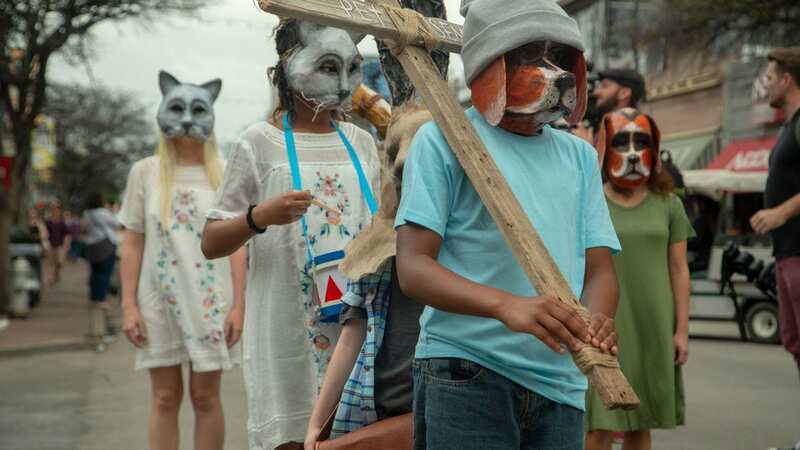 Paramount Pictures surprised people in advance of its “Pet Sematary” premiere. Last year, Paramount Pictures scored opening night for the debut of what would become a blockbuster, “A Quiet Place.” This year, it had some time before its remake of Stephen King’s classic “Pet Sematary” closed the film festival. But marketers didn’t sit idly waiting for the premiere. Instead, they worked with partners to activate a street team and generate some noise. And, the brand ambassadors certainly made their mark, recreating an eerie scene straight from the movie. The team consisted of child actors wearing animal masks. The leader bore a cross branded “Pet Sematary.” And, the rest followed him, parading down the street – quiet, except for the beating of a drum. Other brand ambassadors followed and handed out flyers on the film’s showing and additional SXSW brand activations. 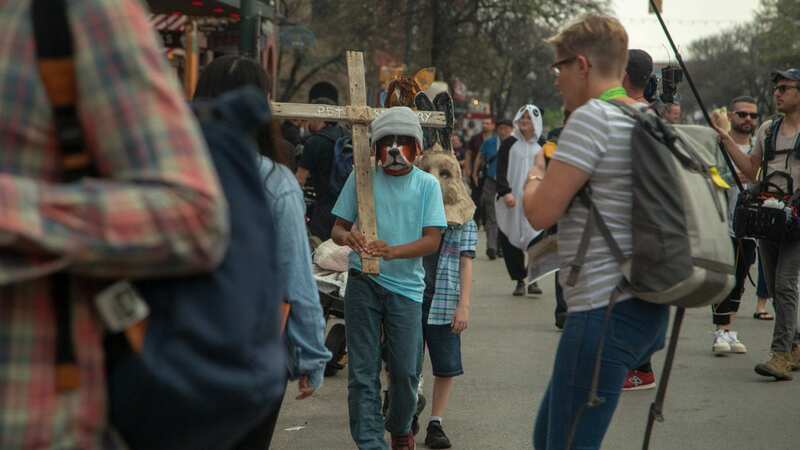 The effort turned heads as the procession moved down the streets of Austin, but garnered attention far beyond the city’s borders. HBO went big with an immersive experience again – and drew blood in the process. SXSW 2018 was abuzz with talk of HBO’s “Westworld” activation. The network and its partners outdid themselves by recreating the hit show’s Old West setting and making visitors feel they were living in the series itself. This year, for SXSW 2019, they went for the same with the network’s “Game of Thrones” drama, hiring around 80 actors to dress in the show’s actual costumes and speak from near 100 pages of script. But the intention of the activation was much different. While “Westworld” is a newer series, “Game of Thrones” will air its last season this April. Its viewership is not an issue. The 2017 season finale drew a crowd of 12.1 million. So, the network’s program marketing director is quick to point out to CNBC, the series is not at SXSW 2019 for an “awareness issue.” However, he says, the issue at hand is the world’s blood shortage. So, they hosted a blood drive in partnership with the American Red Cross as part of the activation and are measuring its impact by the number of “lives saved.” He reported a “40% uplift in new donors,” making the effort a success for the American Red Cross. Yet, it does have real benefits for HBO, too. Adding a cause marketing component to its SXSW experiential marketing was a smart, strategic move. For 2018, 68% of SXSW attendees were aged 25-44, making most of them Millennials. These consumers especially are expecting brands to make positive social influence. It’s then they are more likely to trust brands and buy from them. So while fans of the show likely showed up in swarms, the activation drew those willing to help, too, turning them into fans of HBO in the process. Cars took a back seat with Uber’s JUMP. A survey conducted in Wisconsin found that 75% of Millennials say it’s “very important” or “somewhat important” to live somewhere with “non-driving transportation options.” Throw in the traffic congestion of bustling cities, like Austin, on top of large events, like SXSW, and you can imagine that percentage might rise. It’s been the consensus for some time that Millennials don’t love cars or want to own them. Instead, they prefer easy and affordable means to get around. Uber, which revolutionized transportation, provides alternative transportation on a normal day, without the surge pricing and long waits for vehicles that comes along with South By Southwest. The brand saw these challenges for attendees last year and, being the innovator, knew it couldn’t get complacent. 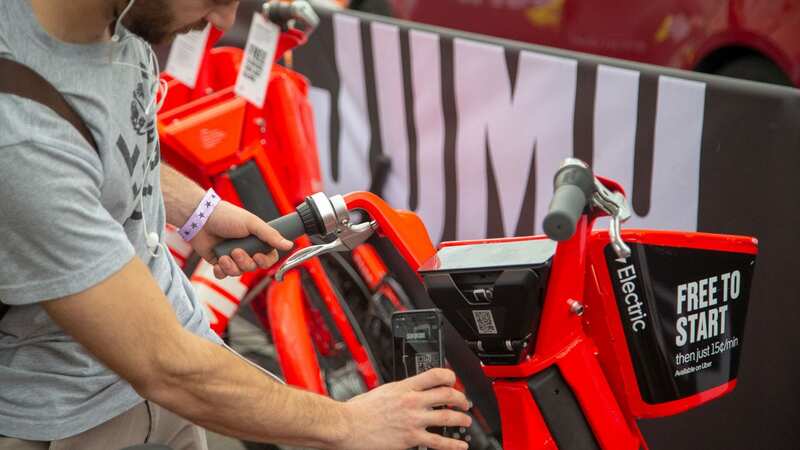 After acquiring bike share start-up JUMP last year, Uber brought bikes and scooters to SXSW in 2019. But, this aspect of Uber’s business is new, making it not as familiar as scheduling a car via the app. So the brand relied on the best brand ambassadors to ensure a smooth brand activation and SXSW launch. These professional event staff ran three bike and scooter pickup locations, as well as three support hubs for JUMP and Uber service offerings. Among their responsibilities was to help people reserve rides via the app, hand out helmets and swag, park the vehicles, and share what makes JUMP’s bikes and scooters different. The feedback was tremendous, with users feeling like kids again and ready to trade in their cars. Michelob got in on the action, but in a chill way. It was one year ago when Michelob introduced its healthiest way to enjoy beer. That was through the launch of Michelob ULTRA Pure Gold, a light, organic brew. While the product was present in name at SXSW 2018, the company stepped up its efforts this year with the actual product’s first appearance. And it wasn’t what you’d expect from your typical beer brand. For 2019, SXSW expanded its focus on wellness, doubling the size of its Wellness Expo in its second year. Over 170 brands participated, and believe it or not, Michelob was among them. The brand teamed up with meditation experts and hosted a sunset meditation. This was followed by musical performances and other mindful activities. The goal, per the brand’s experiential director, was to show how the offering fits with modern wellness, while “creating an unforgettable experience.” While other longstanding companies take hits due to a perceived lack of disinterest in consumer health, Michelob is being proactive to secure its place in a healthier world. At Elevate, we are proud to provide experiential staffing for events worldwide, including SXSW 2019. Let us help you fulfill attendee expectations and raise the bar every activation.